Here is the list of payment service providers in Pakistan. It includes startups, banks, and telecom companies offering digital financial solutions. The product categories focused here include general online and mobile banking, micro lending, mobile wallets, and payment gateways. Merchant solutions for payments SIMSIM (Android) FINJA is a zero cost payment platform with an integrated loan and E-Commerce market place, founded by veterans of tech and banking industry. 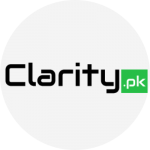 A Pakistani fintech with a mission to make payments free, frictionless and real time. CareemPay Careem Wallet Careem (Android) Careem Wallet is where all the information and options related to payment and earning options are in Careem App. Careem Wallet can be used to topup credit through your credit card or vouchers or via partners and selecting your preferred loyalty program to earn rewards with. You can check your credit and the option to use your credit during your trips. Wallet FonePay (Android) FonePay is the easiest way to pay anyone or for anything instantly! It is a single platform that will manage your payments, loyalty, rewards and much more! Payment backend solutions N/A TPS is a leading provider of cards and payment solutions trusted by over 120 customers spread across 30+ countries including Middle East, South Asia and Africa with increasing footprint across other regions. TPS solutions and services enable banks, telecoms, central banks, payment processors, national switches and other institutions in their mission critical digital banking, cards and payments services. AutoBANKER – Financial solutions N/A AutoSoft has built a strong specialization in specific areas within the banking domain. Across the retail, corporate and Islamic banking business, AutoSoft has aligned development teams, business experts and testing & QA teams on these dimensions. AutoSoft’s modular financial solutions give banks the confidence to start with their essential requirements but are flexible enough to seamlessly add new modules as and when their need arises. MCB Bank Payment Gateway and related solutions MCB Mobile Banking (Android) MCB Bank Limited is the largest private sector bank in Pakistan and accepts all international & local Visa/ MasterCard/ China Union Pay credit & debit cards. MCB offers payment gateway for the rising Pakistani e-Commerce Industry, by providing merchants with a secure and efficient card processing service online through MCB eGate. A cardholder can use any Visa or MasterCard issued by any bank both locally or international for making payments to the online merchants. MCB eGate is backed by MIGs (MasterCard Internet Gateway Services) that provides 3D secure solution. Corporate Solutions JazzCash (Android) JazzCash provides branchless banking solution in partnership with Waseela microfinance bank. JazzCash aims to provide the people of Pakistan complete financial liberation that they have always wanted in life. Users can send money to CNIC, bank account or JazzCash mobile account. Wallet HBL Mobile (Android), HBL Konnect (Android) HBL provides payment gateway for emerchants, mobile bank account, over the counter services and home remittance account via their Konnect app. Konnect by HBL is a complete financial services solution that provides easy account opening, instant funds transfers, seamless payments at retail outlets and e-commerce websites and access to a variety of financial services. Virtual DebitCard Easypaisa (Android) Telenor Microfinance Bank Limited, is the first scheduled microfinance bank in Pakistan. It provides micro‐finance and related financial services to the less privileged and unbanked segment of the society, with an aim to contribute towards poverty eradication under the Microfinance Institution ordinance, 2001. Easypaisa, launched in 2009, is Pakistan’s first mobile banking platform by the bank. It now has the largest nationwide footprint. With Easypaisa, the common man now has access to an easy and convenient avenue for all his financial needs. TEZ Fin Digital Lending Tez (Android) Tez Financial Services is a fintech company that provides instant access to financial services through a mobile application. You can use Tez Financial Services to borrow, save, insure and invest money. Payment Gateway Alfa (Android) Alfalah Internet Banking offers you the convenience of banking from anywhere, anytime. Alfalah Internet Banking offers a range of financial services and payment facilities like utility bill payments, mobile topup, donations, online shopping, or gift vouchers. Alfalah’s Online Payment Gateway, powered by MasterCard Payment Gateway Services (MPGS), is a state of the art payment gateway. It allows customers to enable card payments on their websites and apps. Meezan Bank Online/Mobile Financial Services Meezan Mobile Banking (Android) Meezan Mobile Banking App provides features such as paying utility bills, checking balance, view last 8 transactions with details, transfer funds, IBFT, and temporarily activate or deactivate your Meezan debit cards. UBL Omni Mobile Financial Services. Branchless banking UBL Digital App (Android) UBL Omni Mobile App aims to facilitate customers with an all-round access to their Omni Accounts, whenever and wherever they want. With this app you can do fund transfers, pay bills, check banking and transaction details all hosts of banking services. Ufone Pay/Upaisa Mobile Financial Services My Ufone (Android) UPaisa’s mobile account functions just like a normal bank account, however it has the added advantage that it can be used anytime anywhere. You may get your own mobile account by going to any Ufone Sales and Service Centers, Ufone Franchise or UBank branch. UPaisa’s Mobile Account is fast, secure, convenient and innovative .It is the solution to all your banking needs. 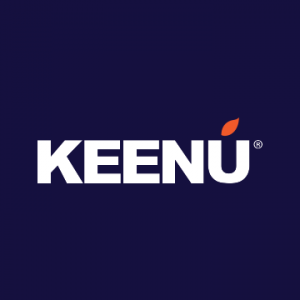 Keenu Digital Wallet Keenu Wallet (Android) Keenu Wallet is a Free Digital Wallet application, introduced by Wemsol Private Limited. Keenu Wallet helps you make quick, secure and rewarding payments. With this wallet, you can make a purchase at your favourite retail outlet, shop online, request and share money with friends, pay utility bills from home and more. No need to worry about carrying cash or credit card anymore.